But How Many Downtown Bicycle Thefts? Since that vote, many of our supporters have banded together to ensure that when it comes time to implement the Uptown Bikeway, the gap ceases to exist. The SANDAG board is scheduled to determine if the project can be exempted from a CEQA review, since the rationale used to justify the hole was based on the archaic Level of Service justification—or rather, the old car-centric view that the only form of traffic worth analyzing and planning for was vehicle traffic. But in the meantime some board members at the Uptown Parking District, a city sanctioned (and funded) entity to manage Uptown's parking supply, want to chip away at the existing proposed routes (highlighted in purple above). improve availability and supply of parking for residents and businesses, by re-investing its portion of parking meter funds with fiscal responsibility. The district will also consider traffic circulation, transit effectiveness, biking, and pedestrian mobility in its neighborhoods and develop creative collaborations to support a vibrant local economy. One way to "improve the availability and supply of parking for residents and businesses" is to offer choices that prevent the need to drive, increasing supply doesn't always mean building more parking. But without a connected bikeway network, the only option to get around will be the vehicle which requires far more land for parking. Hi, I'm writing to inform Mayor Faulconer and Councilman Gloria's offices of Monday's Uptown Community Parking District Board meeting regarding the SANDAG Uptown Bikeway. The Board will be voting again on whether to recommend removal of the Bikeway on 4th and 5th Ave north of Robinson, so I'm asking that representatives of your offices attend. This motion was previously voted on, and failed, at the April UCPD Board meeting. Adriana Martinez from Councilman Gloria's office informed UCPD that SANDAG would be proceeding with this segment of the Bikeway regardless of UCPD's advisory vote (1 minute mark here: http://bit.ly/1WKzLgc). However, the Hillcrest Business Association is determined to remove this segment, and its UCPD board members have forced a second vote - when the current UCPD President is unable to attend due to illness. Monday's motion from UCPD/HBA board member Cecelia Moreno includes new language stating that this Bikeway segment should not be exempt from CEQA because it removes 12 street parking spaces (there are 700+ off-street spaces on these blocks). The notion that removing a small amount of parking for a bike lane is a "negative environmental impact" is dubious at best. As your offices are aware, UCPD has been directed to "facilitate the use of alternative forms of transportation to reduce parking demand" (https://www.sandiego.gov/sites/default/files/newsrelease150630.pdf). The Bikeway is an alternative form of transportation, and it is needed to help achieve the city's Climate Action Plan bike more share goals. UCPD has also been sitting on millions of dollars in unspent parking funds. At the April meeting, Executive Director Elizabeth Hannon was asked what this balance was but has not provided an answer. Instead, UCPD is wasting public parking funds on staff resources for ad-hoc group meetings and unnecessary votes. Your constituents' safety is also being disregarded by UCPD HBA members. HBA Executive Director/UCPD board member Ben Nicholls told me, "(Some) cyclists give all riders a bad name by riding up on sidewalks… with complete disregard for any rule or procedure at all“, but the sidewalk bicyclist in the attached photo told me it is too dangerous to ride on University. Moreno told me SANDAG would implement pedestrian improvements in the University bikeway gap, but a SANDAG representative confirmed no changes are planned. Due to the above, Uptown Planners voted to recommend SANDAG close this bike network gap. I am asking that representatives from your offices attend Monday's meeting to reaffirm the City's commitment to its Climate Action Plan, parking district bylaws, public safety, and the remaining Bikeway. 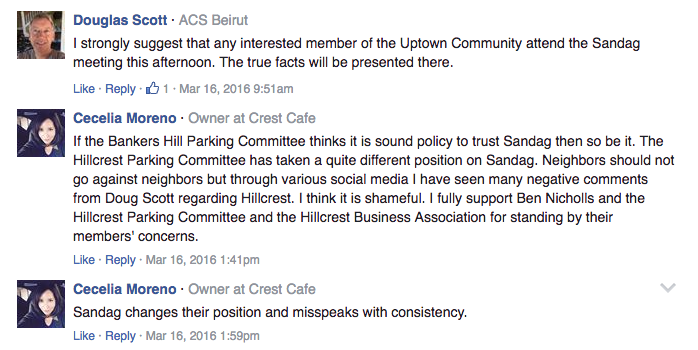 Unnecessary votes and criticisms of SANDAG and UCPD members who work together with them (http://sdgln.com/news/2016/03/15/sandag-wants-remove-parking-bankers-hill-uptown-bike-way) are not part of UCPD's mission. Yesterday would have been Jane Jacob's 100th birthday. This famed visionary known for her book, Life and Death of Great American Cities, is also equally famous for having fought against the building of an expressway that would have destroyed her Greenwich Village neighborhood. At the heart of her message is just this simple idea - to prioritize people first. Nnot too radical of a concept considering BikeSD's own mission. Thus yesterday was a fitting tribute to open a new public space in San Diego, the Horton Plaza Park. Pushing policies and agendas to keep people isolated from one another, whether it be through expanding more highways to induce more driving, or advocating for more vehicle parking on our most valuable public spaces - our city streets - is the antithesis of city living and ultimately contributes toward an unsafe environment. More public spaces and more bike lanes all contribute toward a better city and a better quality of life for everyone. Pretty nice to see that downtown is continuing to enable "more eyes on the street". Much better use of SANDAG's PR dollars. 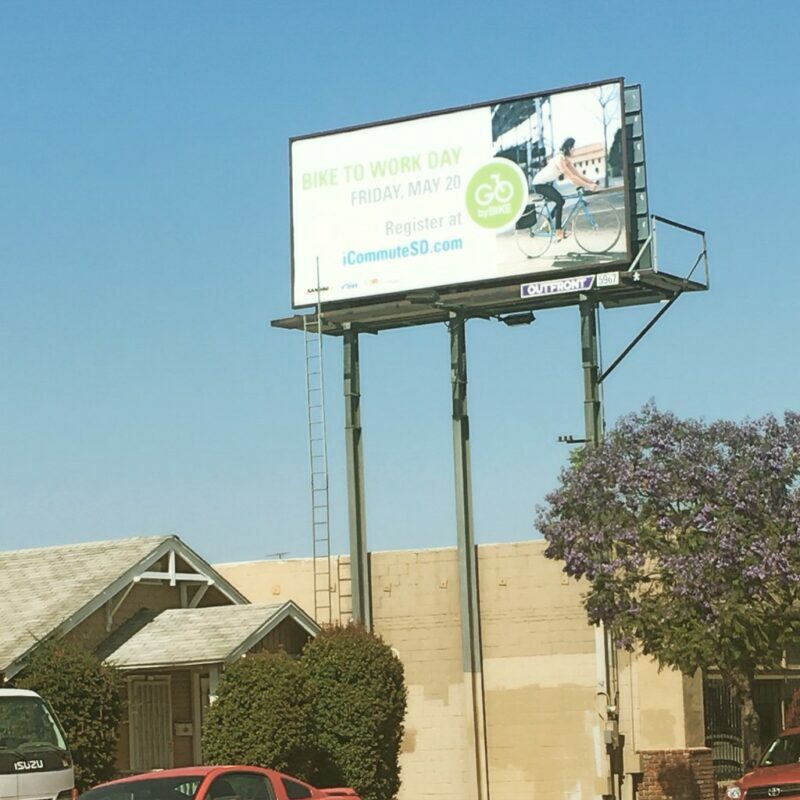 Save the date: May 20th, is Bike to Work Day. Happy Monday! 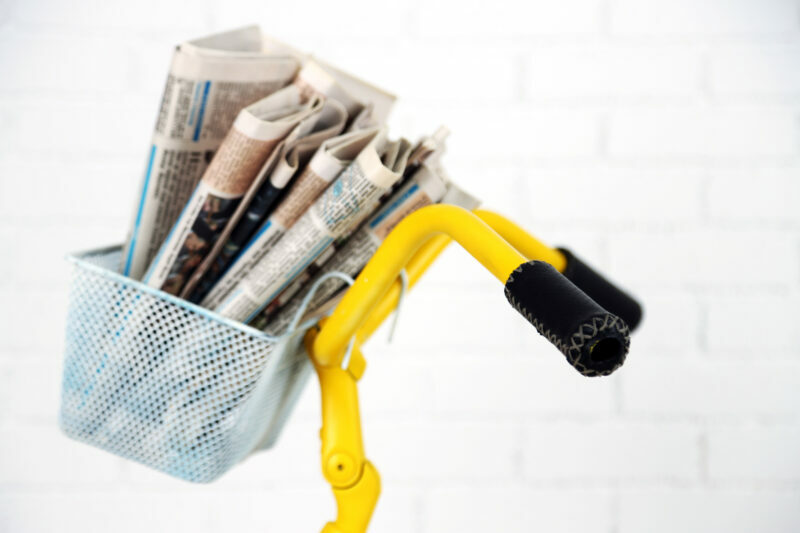 Time to check in and see what bicycling news has happened since the last edition of, News, Links, and Other Views. What’s Standing in the Way of a Cross-Border Bike Lane? The eleventh edition of the Amgen Tour of California pro bike race starts for the men on Sunday, May 15 in San Diego, and for the women on Thursday, May 19 in South Lake Tahoe. The Amgen Tour of California route has been revealed. This explains why Friars Road suddenly looks so spiffy. Meanwhile in Tecolote Canyon, Mount Acadia Boulevard is filled with potholes which has resulted in drivers driving in the bike lane, illegally. Our marines didn't seem to care for mountain bikers on the Miramar base and had confiscated bikes. In response, the San Diego Mountain Biking Association is addressed the problem. The bikes have now been returned. If you can figure out where the Miramar base boundaries lie, avoid it if you're on a bike. Streamview Drive is going to get some long overdue love. After a skateboarder's death, 54th Street will finally get a buffered bike lane. Pledge to go a year without a car. The Reader covers a handful of cases where local riders have been injured due to poor road conditions. New bike-sharing network struggling in San Diego. I speculate things will go much better, once the city starts implementing a network of bike infrastructure and law enforcement starts addressing egregious driving and speeding offenses. Bike theft is up in San Diego and bike thieves are getting smarter. Prevention is better than heartache. Learn how to lock and secure your bicycle properly. And if your bicycle does get stolen, call SDPD and report it lost. Despite all the money SANDAG spends on public relations and communications, residents in San Diego are still unaware of plans being proposed by SANDAG. Bicycle riders and pedestrians are the eyes and ears on our streets. More people outside the motor vehicle keeps everyone safe as this story illustrates, Carlsbad mom reunites with cyclist who saved her life. Climate change denialism exists in San Diego County. Bike corrals are coming to Leucadia. Carlsbad's leaders envision a bright future for their city which includes building a parking garage. After a 12 year old boy was killed after riding his bike to school, Oceanside City Council voted, after resident pressure, to widen bike lanes on Coast Highway. The pressure has resulted in a pilot project that is move in the right direction. Construction for the Bikeway Village in Imperial Beach has begun. It's a development along the Bayshore Bikeway. Anti-bike residents protested the construction of a multi-use path that would connect Cardiff and Encinitas. If you want to ride north of Oceanside and don't want to ride on the I-5 shoulder, barriers to riding through Camp Pendelton has gotten more stringent, because...of "incidents around the world." In order to ride through the base, you have to "register and undergo the background check. Once approved, the bicyclist’s registration will be good for one year". 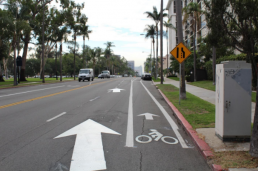 Contact the San Diego County Bicycle Coalition if you want to have this rule changed. In Coronado, like in the city of San Diego, bike baits are being used to nab bike thieves. 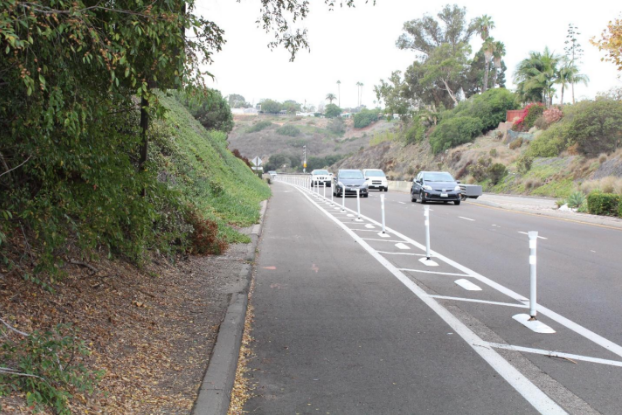 La Mesa is en route to creating a network of 22.1 miles of trails for bicycling and walking. A ‘Complete street’ project is behind schedule in San Marcos. 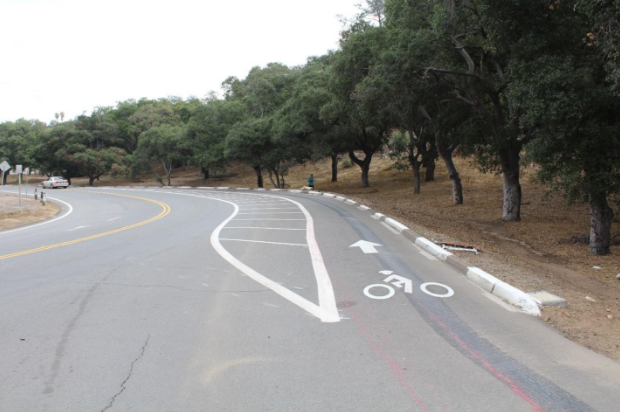 The San Francisco Municipal Transportation Agency (SFMTA) Board voted to approve a pilot project to dedicate the scenic east side of Twin Peaks for people biking and walking. The two-year pilot project establishes a welcoming open space where people can enjoy the sweeping views of the city safely. Amid cycling boom, penalties for errant drivers remain light. Vegan tacos via bicycle, in Tijuana. Black bicyclists in Tampa were more likely than whites to be stopped and ticketed by police, the U.S. Justice Department said Tuesday, adding that the citations didn't reduce crime in the city. After Countings Cars for Ages, Dallas Starts to Count Walkers and Bikers, more than three years after San Diego started to count walkers and bicycle riders. Philadelphia Mayor Jim Kenney has proposed a tax on soda and other sugary drinks that contribute to obesity and poor health, and using the money to pay for public improvements, including bike trails. Why Do People Drive When They Don't Want To? "[T]he decisions of planners and developers over the last several decades have created a land use pattern that essentially locks in transportation choices for all future residents, who are now stuck commuting in ways they say they’d rather not." In other words, social engineering.